I love greens, but once in a while I need something different. 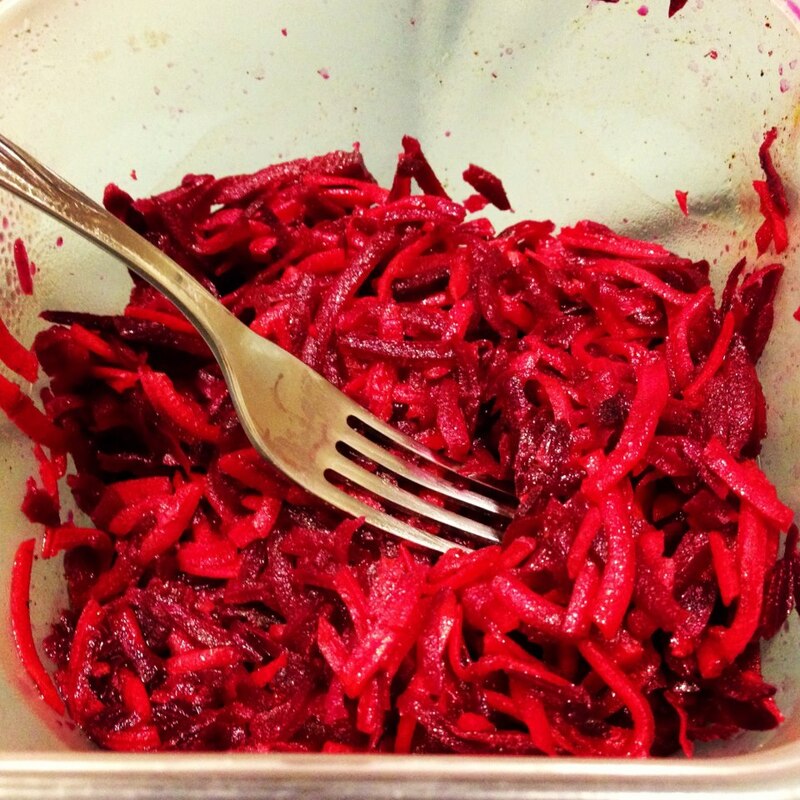 I pulled out one of my favorite cookbooks, Everyday Food: Great food fast, for inspiration and found a recipe for beet and carrot salad. With a handful of tweaks, omitting sweeteners and such, this salad was born. And I love it. And it gets better with time. Try it. Just remember that you ate beets so you don't end up visiting me in the ER the following day thinking you're bleeding internally. It's truly appreciated. 1. Whisk together the first seven ingredients. Or toss them into a mason jar and shake if you're lazy like me. 2. Shred the carrots and beets. Save yourself hours of your life and use a food processor. You can thank me later for this tip. 3. Add the beets, carrots and dressing to a bowl and toss. Add the cilantro. Enjoy! And seriously, please remember you ate beets. Don't panic. Your poo will be dark. This is normal.